new condenser unsure how much duracool? I just put a larger condenser in my 240. I have duracool which I am a big fan of and have ran it for a while. I filled 30 percent of R12 capacity. But I think I am over charged and I cant seem to find a tempature pressure chart? Basically its 100 F. here and my pressures are 45 low and 145 on high side? Im 58 out the vents which is poor for duracool. I put 18 oz. of duracool in the system. Yes, is was pumped down and held a vacuum 24 hours. Please dont tell me duracool is dangerous. Ive read and heard all about it. Thanks. Did you read what Duarcool have to say? I think your pretty close to the correct amount. 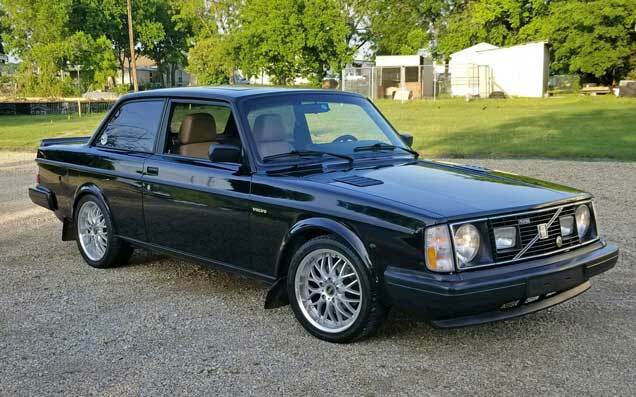 Volvo usually called for 2.9 lbs R12, which I think is about 16 oz. Duracool. You have a 42 deg drop in temp. Not horrible. Was this with the fan on low or high? If high, try it on low. Lower fan should produce a cooler temp. Also was this idling or at speed? Your low pressure seems a bit high to me. Mine runs under 25 psi. Sounds like you did your homework, but I just want to mention if you accidentally added a bit too much oil, that can reduce efficiency. I just went by 85% of the r12 label on my 1990 240 when I went to r134. It was over 2 lbs. 2.5 lbs i think. I removed some and got my temps to 45. I can live with that, plus low side came down. This winter I want to mod it like you did your AC. But gonna wait til I can park the car for a while. A buddy of mine had a ford ranger that thing would blow 28 on a 100 degree day. Man that would be sweet. 55 deg drop is about what I'm getting and it works pretty well. Edit: thats at idle. My wife's new Forester gets a 57 degree drop at idle. Highway speed is different though. I'm getting a 69 deg drop at 55 mph in my 240. 32 deg F vent with ambient 101. Last edited by dbarton; 07-19-2018 at 05:46 PM..